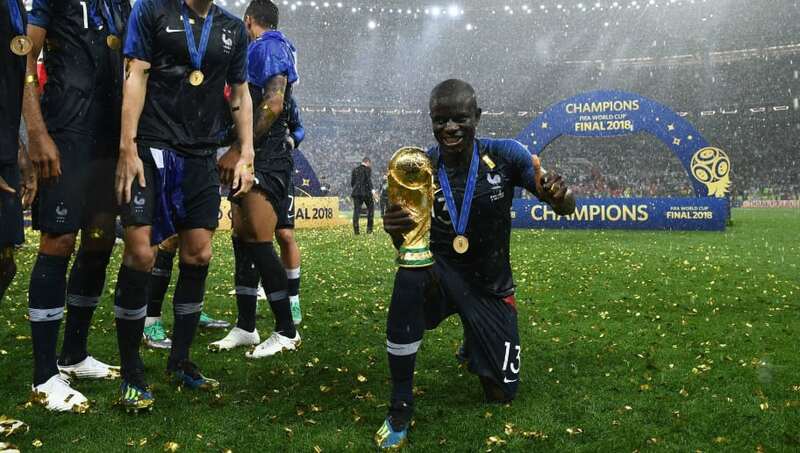 The sensational ​World Cup performances of ​Chelsea and France star N'Golo Kanté have been put into even greater perspective, as news has broken that his older brother passed away shortly before the tournament. Kanté was a key player throughout the tournament for Chelsea, but will have been sad that his older brother, Niama, was not there to watch him lift the trophy in Moscow. According to ​sports.orange.fr, Niama suffered a heart attack and passed away a few weeks before the tournament. However, N'Golo managed to soldier on through the competition by leaning on the support of his strong family. The Chelsea midfielder is from a family of four brothers and four sisters, and has overcome personal loss before - losing his father when he was just 11 years old. Two close family members who would certainly have been proud to see him lift the World Cup trophy - the greatest honour in world football. The French team and supporters dedicated a song to Kanté during the tournament celebrations. Kanté, a quiet and shy character off the pitch, has had a whirlwind few years, with his career devleoping faster than anybody could have expected. In 2013, he was competing in the third tier of French football. Since joining Leicester in 2015, the midfielder has ​won the Premier League with Leicester, helped France to the final of the Euros, won the Premier League with Chelsea, lifts the FA Cup and then completes the season with an emphatic World Cup victory.